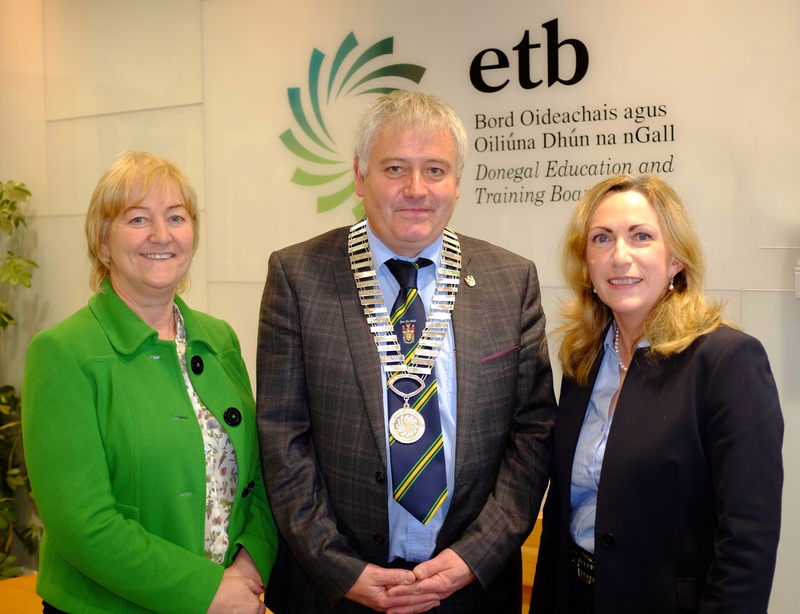 Donegal ETB is delighted to announce that Cllr. Martin Harley has been elected as Chairperson of Donegal ETB at its meeting this afternoon. Mr Philip McGlynn has also been elected as Deputy Chairperson. Newly elected Chair of Donegal ETB Cllr Martin Harley pictured with outgoing Chairperson Cllr Rena Donaghey and Donegal ETB Chief Executive Anne McHugh.